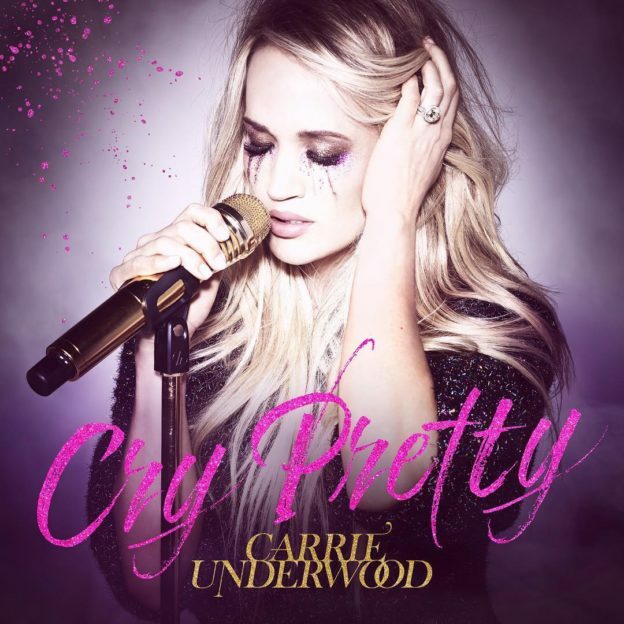 On April 11th, Carrie Underwood released her latest single ‘Cry Pretty’. It is the first song to be included on her upcoming album of the same name, which is slated to be released on September 14th. With an accomplished career as the woman with the most number one hits on the Billboard Country Airplay Chart, Carrie’s success is not an accident. She consistently wows the country audience with her powerful vocals, passionate delivery, and relatability. This song is no different. It is clear why the singer has chosen this track as a leading single and seems very natural to say that Carrie has done it again. The power ballad was written by Carrie Underwood, Hillary Lindsey, Liz Rose, and Lori McKenna and sends an empowering message. The world television debut performance of ‘Cry Pretty’ was delivered by Underwood during the ACM Awards. 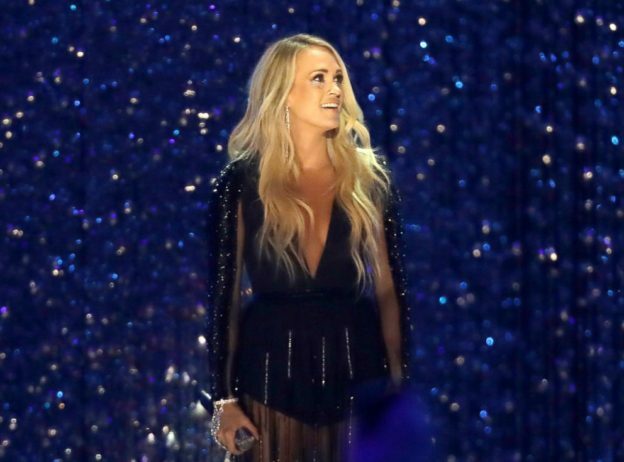 Carrie sported glitter tears as part of her makeup to match the look she revealed in the songs promotional photos. This was her first public appearance after a horrific fall in November that left her with a broken wrist and the need for more than 40 stitches on her face. Much of the buzz around this performance is about if anyone can see a difference in her appearance, but what we should be recognizing is that she absolutely killed the performance. While belting out the ballad, the thought of the song’s relevance to her situation recovering from the accident was apparent; she received a heartfelt and well-deserved standing ovation from the audience. We are happy to see that Carrie is doing well and getting back out on stage. She has even hinted that a tour is on the horizon soon. She has no New England show dates planned yet, but you can keep up with Carrie on her Website, Instagram, Facebook, or Twitter. You can purchase ‘Cry Pretty’ on iTunes here. Favorite Lyrics: But sometimes my emotions get the best of me, And falling apart is as human as it gets. This entry was posted in Home page blog, Reviews and tagged ACM Performance, Carrie Underwood, Cry Pretty, NECM, New England Country Music on April 23, 2018 by AlissaNECM.